“Breaky Bottom” and “Camel Valley” may sound like craft cider monikers but they’re not. 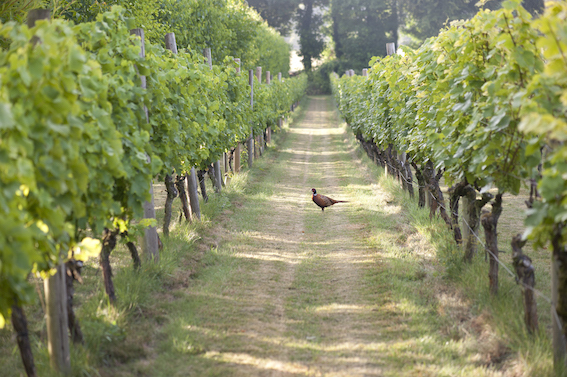 They’re English sparkling wines—and award-winning English sparkling wines at that. Not five words you’d expect to read in the same sentence, never mind the same book. Often uttered with the same contempt that Brits of a certain age reserve for 1970s “classics”Blue Nun and Liebfraumilch, it may well be time to drop the prejudice against English sparkling wine because homegrown fizz is fast giving Champagne a run for its money. This year, England’s best bubbles picked up a bumper crop of 17 gold medals at the International Wine Challenge (IWC) and 81 assorted accolades at the Decanter World Wine Awards. Champagne producers may have little to be worried about when it comes to these English efforts flooding the market (for now), they should probably be concerned about the competition’s quality. For the rest of this piece, please visit Munchies.